I am new to the forum, I just purchased my 2003 X5 4.6iS 2 weeks ago. 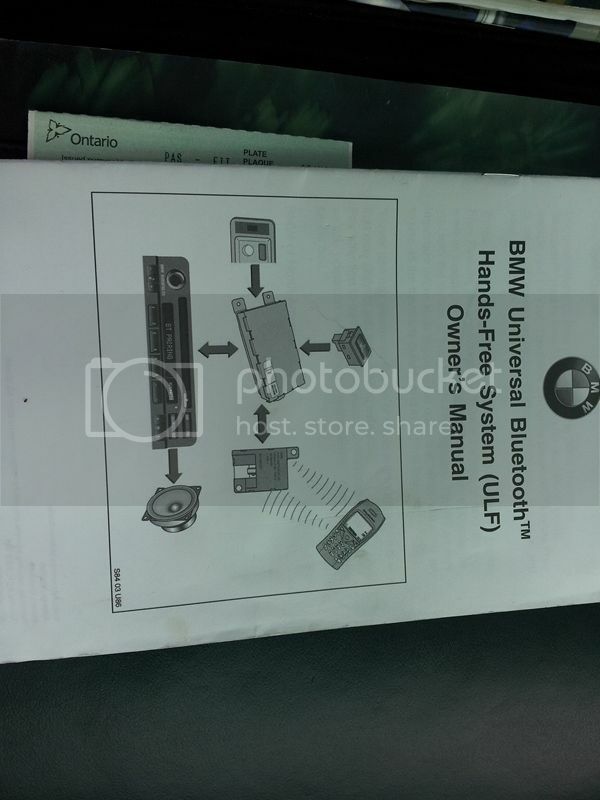 When I first got the car home I opened the glove box to read through the manual and I found the BMW ULF manual (yeah) with a card containing the passkey. I read through the pairing instructions and gave it a couple of tries step by step (I have the telephone button in the center console). Both of my phones (Android and iPhone 4s) did not see the car. They aren't any lights on the radio (factory NAV) and nothing happens when I push the phone button on the radio. I went to the back to make sure I actually have the unit in the car, check. I pulled the battery for almost and hour and I read on here to check and pull fuse 73 in the back (which I did after reconnecting and testing). And still nothing at all?? Is the unit pooched? Any other testing I should try? I am considering a GROM unit for USB music (and bluetooth), but thought I would try to get this working if it exists first. 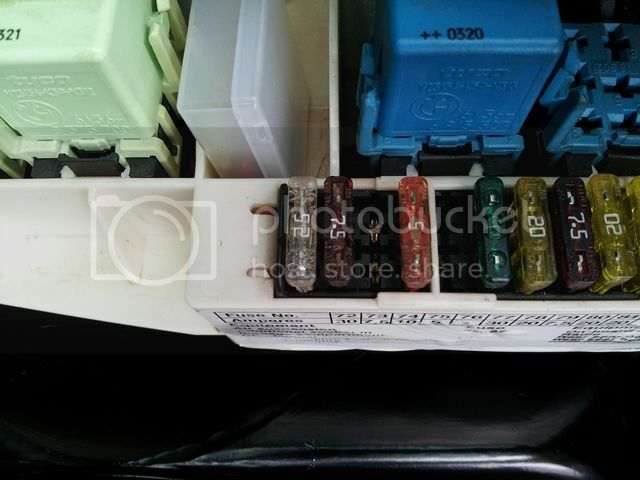 Am I looking at the right spot for the fuses, the bottom label is faded and hard to read? What are the empty slots for? Also, do a search as there are folks that say that a TCU is a better retrofit option than the ULF. Thank you, but it has the ULF unit in the back and the bluetooth antenna wraps up around to the top of the entertainment stack (above the disc changer)... etc. Is it possible it has already been retrofiited by the previous owner? It had the telephone wiring, etc. from the factory. 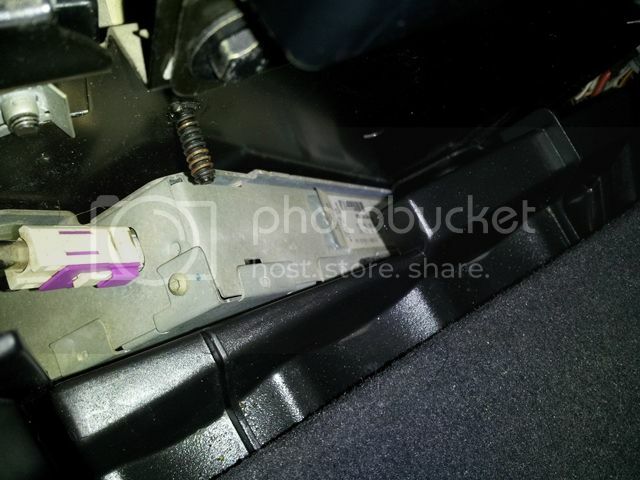 There is even an older phone adapter for the center console in the glove box. Last edited by BBQBeaver; 12-28-2012 at 03:25 PM. Yes, it is possible that a previous owner did a retrofit (or attempted one and gave up). What is the part number on the ULF installed in the rear? I can't read it in the car like it is, it is upside down and covered. I will have to remove some things to see it better.